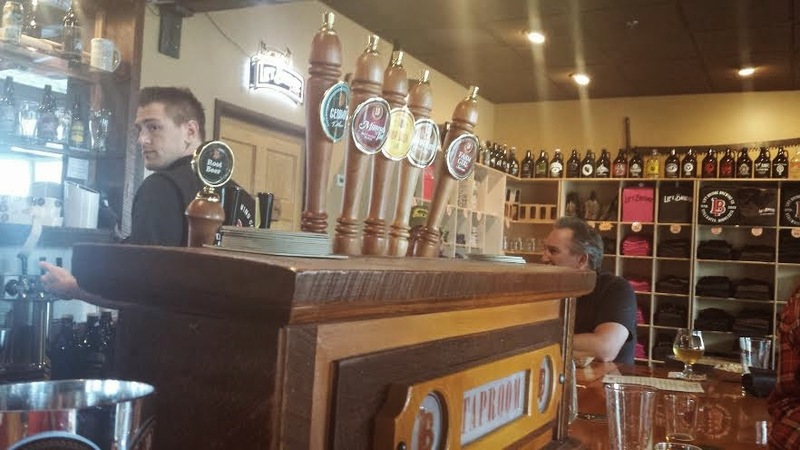 Stillwater Minnesota is an excellent small town vacation spot. A beautiful strip of quaint antique and gift shops and plenty of places to choose from when you want a bite to eat. Not to leave out the beautiful views! This past weekend we went to Stillwater for a few days did a lot of walking and eating. Our first lunch was at Nacho Mamas, can you stand the name!?! 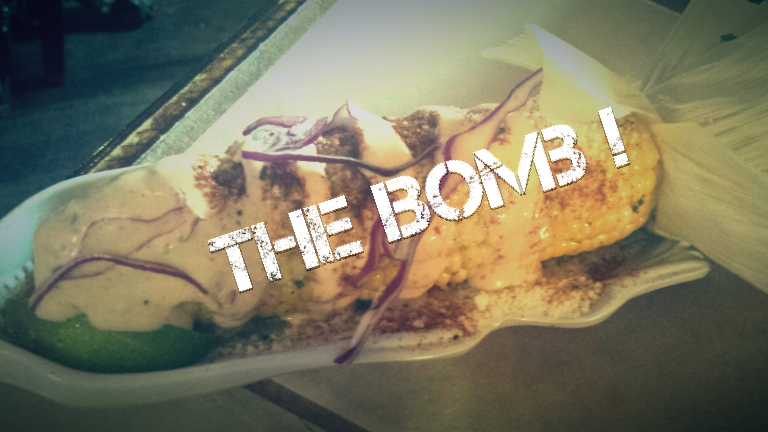 I have had on my list of things to make, Mexican corn and you know what was on their menu?? You know it Mexican corn, oh my Lord that was good!!! While making small talk with the cashier I mentioned to her that the coffee mugs hanging above the counter were really fun. 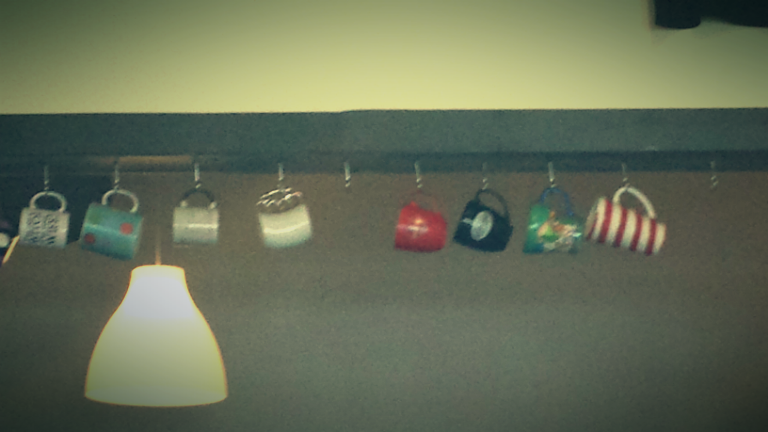 She tells me that they are the regulars mugs. The one that stuck out to me the most was the one with the shiny silver brass knuckles as a handle, she imagines to be a little old ladies coffee mug because she has never seen the owner of that mug. Another day we decided to have a light lunch. 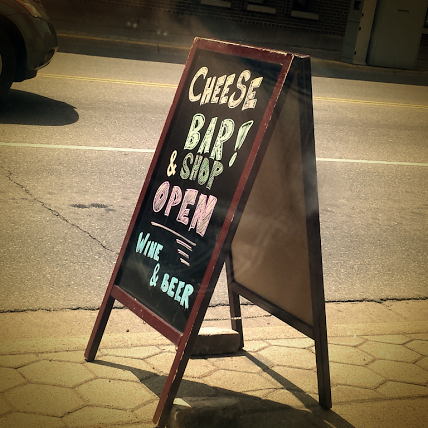 We stumbled upon a wine/cheese bar, enough said. 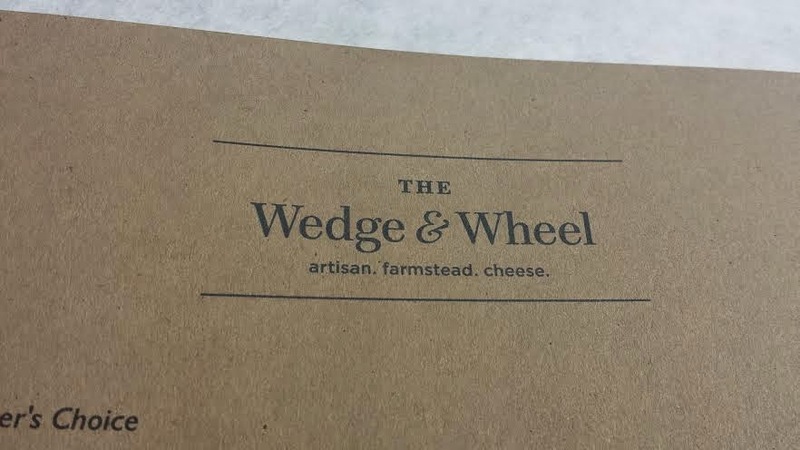 The Wedge & Wheel is so beautiful made me feel like I was just transported to France. 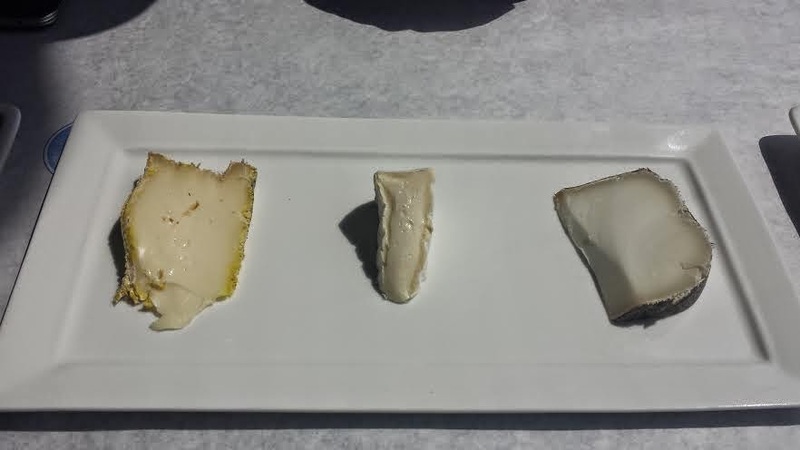 We went with the Cheese Mongers choice that was a trio of cheeses one from France, Italy and lastly Spain my favorite, I wish I could remember the name! Our cheese was accompanied by a plate of vibrant green olives, figs and warm nuts. Oh and bread. One my my favorite new beers is the Liftbridge Farm Girl, that is brewed right here in Stillwater, MN! I was surprised how small their operation is compared to how large their distribution is. They hand pour every bottle, insane! We went there on a Friday and there are not tours that day but they have a fun bar in the front of the house. Hubbie and I shared a flight of beers and munched on some free popcorn while listening to the jukebox. 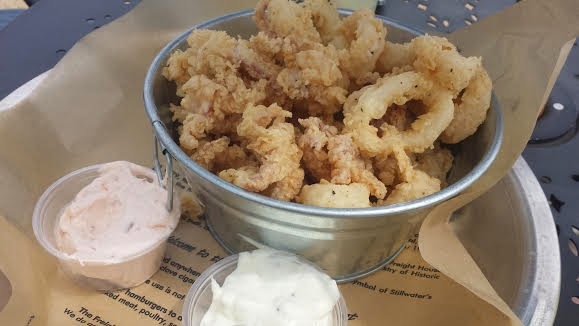 We were still a bit hungry after that delicious cheese so we crossed the street to The Freight House, it's a fun place to party in the evening (fyi) we sat and enjoyed the warm sunshine and snacked on a basket of delicious calamari pared with a sour cream chipotle and tarter sauce for dipping. I'm getting full just writing this!!! Are you still with me?? Ok almost done I have two dinners to cover. Our first dinner was at Smalley's Caribbean Barbecue, I wanted to try this place out after I saw Guy try it out on Diners Drive Ins and Dives. I took pictures but they did not turn out it was to dark. I had a burger and the husband had a jerk pulled pork sandwich, he said was super spicy. Just they way he likes it! Last dinner was to celebrate 13 years of marriage we choice a nice place called The Green Room. Lovely place for any occasion, cool interior high ceilings with brick walls. They buy ingredients from local farmers when possible. 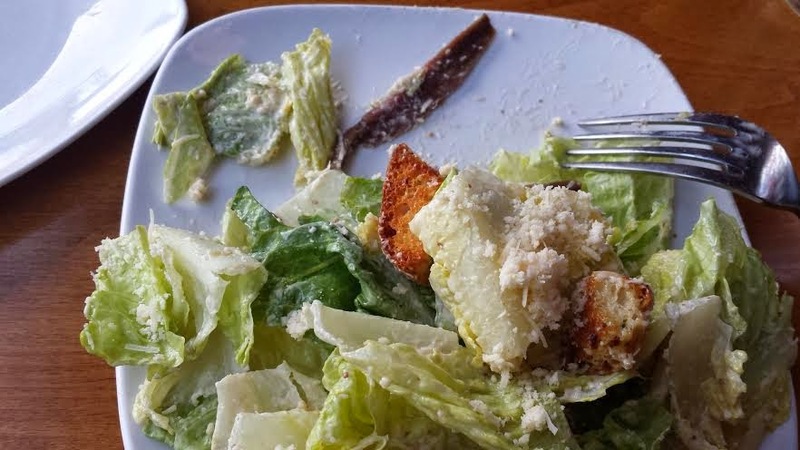 We started with a delicious crab cake, followed by a Caesar salad. For my main course I had Gnocchi and mushrooms, OMG that was so good! Hubbie ordered the walleye special, again a fantastic meal. 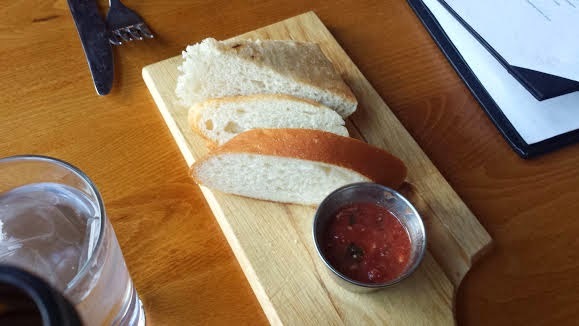 They serve your meal with what I think is their variation of bruschetta, very fresh. I think I was so busy eating I stopped taking pictures at the main course. Now that is only a few of many places to eat in the wonderful town of Stillwater! !